3 Bedroom Detached Cottage For Sale in Reading for Asking Price £599,950. 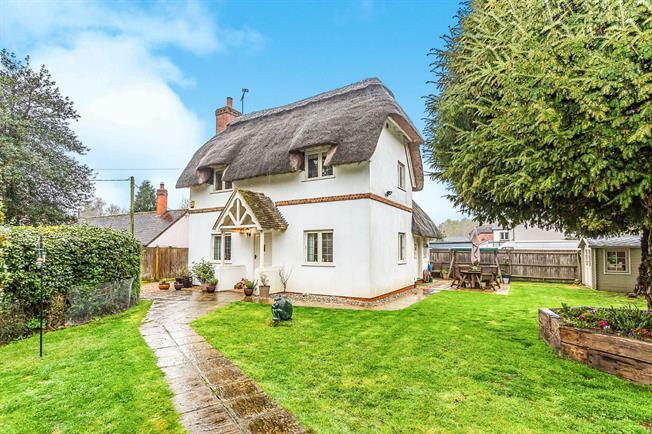 This thatched cottage sits in the sought after location of Silchester Common. To the ground floor there is a refitted kitchen/breakfast room, lounge, office/utility room and downstairs cloakroom. To the front there is a small front garden enclosed by hedging with a gate and path to the front door. To the rear a there is a patio area leading to the lawn area enclosed by hedging and fencing.